Bakuman 2 – things start moving! This episode ended with some great energy. 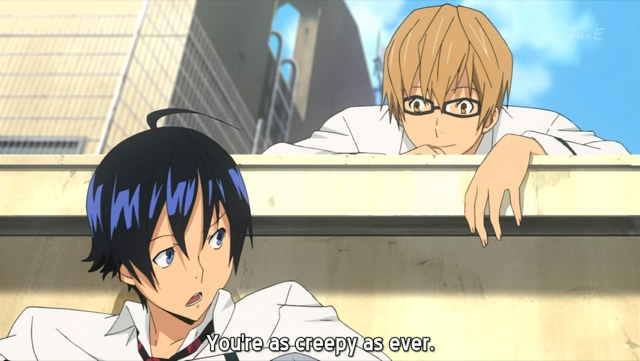 Bakuman episode 2 really picks up the momentum, and left me excited to see what happens next. l to r: Moritaka (Saikou) and Akito (Shuujin). Moritaka and Shuujin bond over Moritaka’s new romantic situation, then Moritaka confronts his family with his new calling to be a mangaka. I loved the ending to this episode with Moritaka literally running towards his new workshop. 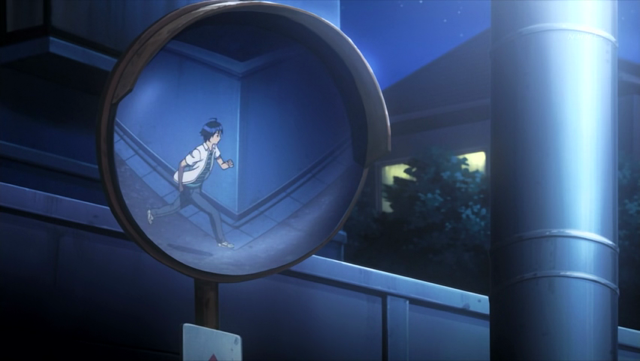 This energy carried right into the ending, which includes animation of Akito and Moritaka running. I don’t know if that kind of energy can be maintained, but it has me psyched to see what happens next! You’re beginning to see SOME of the things that makes this series exciting xD YAY! Yeah, I’m psyched to see what happens next!